Titled Verso: "BASSE VILLE QUEBEC"
h: 10 in. by w: 8 in. Born in Montreal in 1942, Robert was educated at St. Jerome after his family became established there. From the age of five years old, he expressed his interest in drawing and took his first art lessons from Professor Christof Stefanoff. At 12, he created his first paintings and continued to work at becoming a commercial designer. From his first exhibition, Robert strived to make a place for himself among the big names. In 1979 he exhibited for the first time at the gallery of Vieux Palais of St. Jerome. In 1981, he exhibited at the Centre culturel de Verdun, at Gallery Archambault (Laval), Gallery Martin (St. Hyacinthe), Gallery Marie-Pierre (Sorel) and the Guaranty Trust Gallery (Montreal). Boucher loves the outdoors and enjoys the beautiful days of the four seasons when he can carry his easel from the city to the countryside and from the mountains to the sea. His travels throughout Quebec and along the U.S. East coast offer him the opportunities to paint street scenes, landscapes and marine subjects. They also provide opportunities to develop sketches that he will use during winter in his studio. His favourite subjects are small seaports, old abandoned cars, sugar shacks, streetscapes and backyards. He particularly likes Quebec City and the North River that he has depicted in all its intricacies over the seasons. Today, Robert Boucher is among the most talented of Quebec painters such as Bruni, Gransow, Iacourto, Le Bon and others. 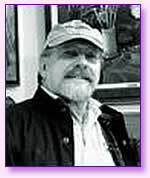 Many of his paintings are in Canadian and American collections. His style is very direct and colourful, which is a direct “reflection of his personality” and his talent.